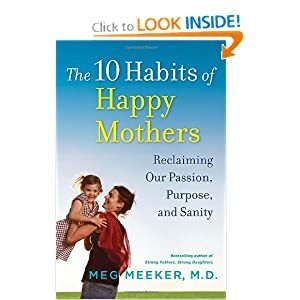 Written by Meg Meeker, MD a pediatrician and author who draws on her life experiences as a mother and doctor to mothers as much as research. The book looks at 10 Habits that are essential to cultivating your happiness and passion. There is even a full took kit available that allows you to work through each habit as you read it as well as a video series with Dr. Meeker addressing all the points. I can see this being a great book club read, or possibly going through the toolkit with a group of moms while the kids play. 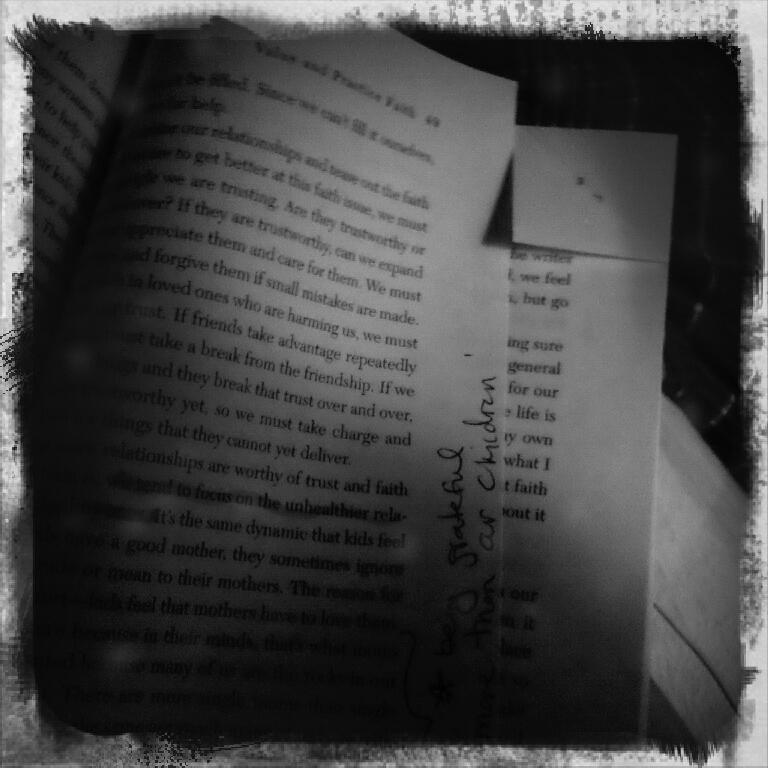 I didn’t get even one page into this book before I started marking it up and making notes. In the introduction she asserts that the “simplest changes are the most profound” and I was hooked. I don’t like fussy plans or big grand schemes on what I can do. I need simple, easy, small things I can do now to make a difference in the quality of my life. 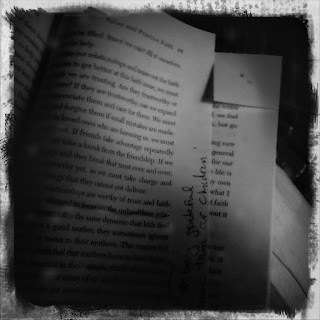 Now here is where I have a confession; I haven’t finished the book. For one I have a newborn so reading, really doing anything, for more than 10 minutes without falling asleep is a feat. I am currently on Habit #3: Value and Practice Faith and it is giving me a lot (A LOT) to think about and ponder. I keep going back and reading bits over and over. However, I have been so inspired by this book I just wanted to share it with you before I finished, because that could be July! Lucky for you I have an extra copy to give away, and I know you want it! Leave a comment on this post telling me which Habit you are most interested in reading about and working through. Giveaway will end at Midnight on Thursday March 31. You must have an email either linked to your name or left in the comments to win. You will have 24 hours to respond or a new winner will be drawn. Disclosure: I received an advance copy of the book to read and review. No other compensation was received, all opinions expressed are my own. Links are not affiliate links because I live in Illinois, and that's all I'll say about that because I don't talk politics. This looks like a good read. #2 Maintaining Key Friendships. I rarely go out with, talk to, engage with my friends. I have very few individuals who I call friends (lots of mommy friends/aquantinces). When I do have a girls night - it reminds me for days how much I love them, how much they mean to me and how desparately I need to connect with them on a more regular basis. In addition, my friends are scattered throughout the world (best friend lives in Indonesia). I need to find physically closer friends that I can relate to not only as a mother, but some who share my personal interests too. In addition, I need to reconnect with those further away more often and make it priority. One of my new year's resolutions was to make 1 phone call to a friend who lives far away (not email, not FB, etc.) and just talk and catch up about them (not their kids, not my kids). I've done ok in this, but I need to focus more. All of them seem like areas I need help with! Especially numbers 6 and 8, finding time for solitude and living simply. Oooh, sounds like a great book. I'm most interested in letting go of fear -- #9. This sounds like a great book! I think I should start working on #1 - Understanding my value as a mother. I'm still trying to figure out what my job is, what my responsibilities are, and why it makes a difference. That sounds like I'm more lost than I feel! Well, since I'm a mama-to-be I'm interested in #2, maintaining friendships. I have a lot of friends who've had babies and then I never hear from them again. I know it's CONSUMING to have a baby but my female friendships are so important to me, I don't want to lose them. Habit #8 I think is simplifying your life....something I have been trying to do as much as possible and not succeeding very well at. The last week alone we have been out every day for appointments or errands! My dear husband picked up a used washer for us so he could stop taking our laundry to the laundromat almost a week ago, but I have been so busy tending to children and making meals that just getting to those things and errands has been it. I wish I could read the chapter instead of the title. It looks like there is a lot more I could benefit from reading this book - but like you, I might not finish until July. I'd be trying to implement everything at once, I think, if I did finish it quickly. And I don't want anything to backfire for too much attention! I would particularly like to read about finding time for solitude. And what to do if I find it. Right no, the closest I get is feeding the baby while the older one is napping; doing laundry; or cleaning toilets.